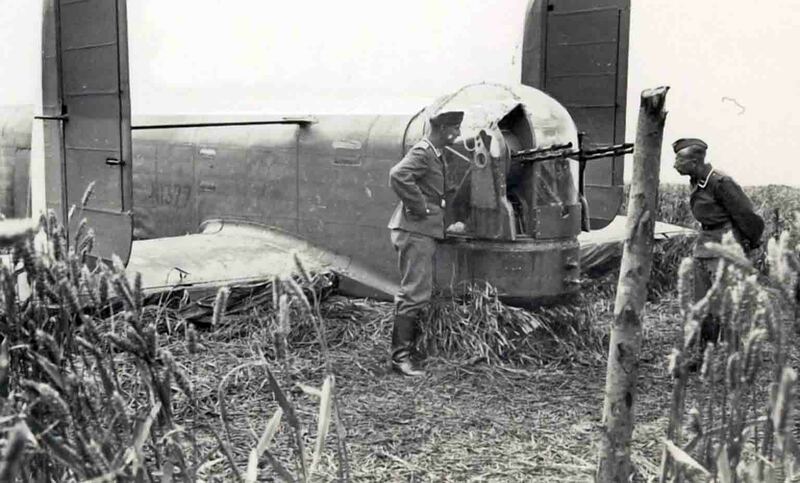 German soldiers consider the British bomber Armstrong Whitworth A.W.38 Whitley, who made an emergency landing on July 27, 1940 in Nazi-occupied Netherlands, 15 km from Rotterdam. The crew of Armstrong Whitworth A.W.38 Whitley was taken prisoner. In the stern of the bomber are four 7.71-mm “Browning” machine guns.